More often than not, whenever we hear something about our favorite athletes away from their respective playing fields, it happens to be on the negative side of things. They’ve either been caught using prohibited substances, driving under the influence or something else incredibly reckless, or at times illegal. You know—the kind of stuff that makes tabloid websites like TMZ tick. However, while plenty of athletes do inappropriate, and at times simply foolish, things all the time, just as many spend their time away from the field doing great things. Rather than hanging out at nightclubs spending their wealth away, they spend their time and/or money with various charities, bringing smiles to children’s’ faces and helping families in need. Some of them give quite a bit. The King of the court, LeBron James helped 1,000 students go to college with full scholarships, John Cena has made hundreds of dreams come true for children as part of the Make-A-Wish Foundation and Cristiano Ronaldo has spent millions to help others. Many of our favorite athletes have struggles throughout their lives, and know how much a helping hand can change an individual’s future. For that reason, among many others, they decide to give back. Of course even those who had a more comfortable childhood have made it a priority in their own lives to give back to their communities, the countless men, women and kids that make their way to the stadium for every home game, and even away games, to support these athletes. The money that many athletes give is fantastic, but John Cena gives something that is as valuable to those receiving it—his time. He currently holds the record for granting wishes with the Make-A-Wish Foundation with over 500. Cena also supports the Susan G. Komen Foundation and has been known to wear pink gear in the ring to show his support. Since partnering with the Susan G. Komen Foundation in 2012, he has helped raise over $1.5 million. One of the most talented and most popular soccer players on the planet makes a habit of giving back to charity thanks to something his father once told him: “When you help other people God will give you double.” Maybe that’s how he’s gotten as far as he has? The list of times and occurrences when he has given back is extensive. In 2015, he gave close to $9 million to benefit victims of the earthquake in Nepal. 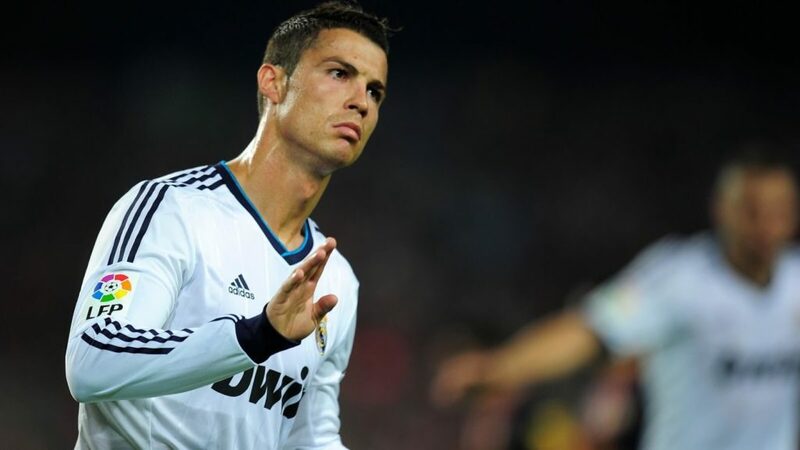 He helped fund brain surgery for a 10-month old child in 2014 and he even auctioned off one of his Ballon d’Ors, giving the money away to the Make-a-Wish Foundation. Most would say the biggest impact he’s had on the community in Cleveland was winning an NBA title a couple of years ago. 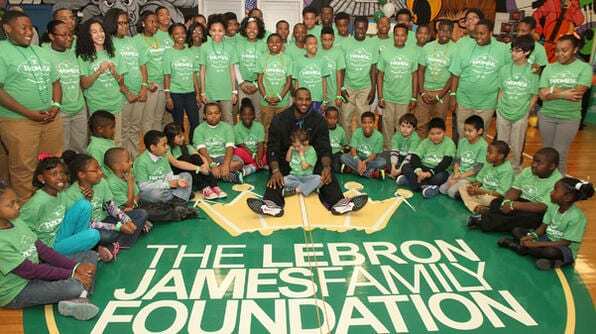 But that is only because most people outside of Cleveland may not know what else he does in the community. In 2015 alone his foundation, the LeBron James Family Foundation, donated $41.5 million to help send over 1000 kids to college. He once paid for 5000 kids and their families to visit a local amusement park. Even his infamous, and forsome angering, “The Decision ” TV special had a charitable side, the proceeds ($2.5 million) went to the Boys and Girls Clubs of America. The tennis superstar is involved in so many things, you almost have to wonder how she finds time to practice her game. She is a UNICEF Goodwill Ambassador and has worked tirelessly to help educate children in Asia. She has helped build two schools in Kenya and volunteered to immunize children in Ghana. Through the Serena Williams Foundation, she has helped send underprivileged kids to college and assisted poverty-stricken defendants with legal representation. Her foundation also supports Big Brothers Big Sisters, Elton John AIDS Foundation, Hearts of Gold and many more other worthwhile causes.